Radio is often called as the theatre of the mind – in India, it enthralled listeners with hit shows like ‘Binaca Geet Mala’and ‘Jai mala’. People sat glued to their radio sets just to listen to these shows and who can forget the voice of radio veteran Ameen Sayani. The history of radio in India stretches way back to the pre-independence days. The Radio Industry has evolved from “Vividh Bharati” to “Radio Mirchi”. Earlier radio was a medium of mass communication, and apart from entertainment, it was used to create awareness amongst people int he rural regions. Talking of movies, one remembers the use of radio in Munnabhai 2, Sanjay Dutt playing Munabhai uses radio to solve public’s problems and guides them with the help of Gandhian philosophy. Munna bhai 2 is the best commercial example of what radio can do. It has emerged more like an entertainment and media industry these days. Here is a list of the most prominent Radio Stations of India. Radio Mirchi 98.3 FM, with a tagline “Its Hot!”, is a nationwide network of private FM radio stations in India. It is owned by the Entertainment Network India Ltd (ENIL), which is one of the subsidiaries of The Times Group. The original avatar of Radio Mirchi was Times FM. Radio Mirchi began operations in 1993 in Indore. Currently, Radio Mirchi has a presence in more than 33 cities, including the 6 metros of India and Radio Mirchi is the costliest station in India as they charge more than double of the competition. 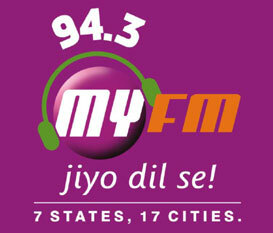 The FM channel launched by Bhaskar Group, is operated under the brand name 94.3 My FM through the Subsidiary SMEL. It has tagline “Jiyo Dil Se”. Currently it operates 17 FM radio stations in Jaipur, Ahmedabad, Chandigarh, Amritsar, Jalandhar, Indore, Bhopal, Gwalior, Udaipur, Ajmer, Surat, Bilaspur and Nagpur, Kota, Jabalpur and Raipur. My FM concentrate on music, talk shows and other entertainment oriented programs which offer significant interaction with listeners. 92.7 BIG FM is a nationwide private FM radio station in India owned by Indian businessman Anil Ambani. It broadcasts at 92.7 MHz (92.7FM). 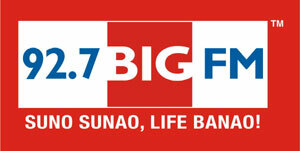 BIG FM’s main tagline is “Suno Sunao, Life Banao”. Currently, it covers 45 cities. This is the only private FM radio station which is being broadcast from Srinagar and Jammu in Jammu & Kashmir state. From July 1, 2008, BIG FM included Singapore, the first city outside India, in its broadcasting network. A number of radio contests are expected to be aired that enable contestants to win prizes. 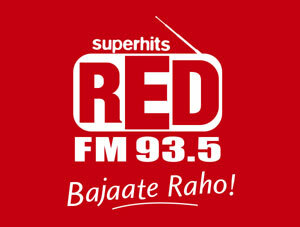 Red FM 93.5 is an Indian FM radio brand, with stations broadcasting n the cities of Mumbai, Delhi, Kolkata and Kanpur in addition to Jamshedpur, Bhopal, Gwalior, Jabalpur, Indore, Nashik, Aurangabad, Nagpur, Bangalore, Mysore, Mangalore, Gulbarga, Kochi, Trivandrum, Trissur, Kannur, Kozhikode, Hyderabad, Vijayawada, Vizag, Warangal, Rajahmundry, Tirupathi, Ahmedabad, Vadodara, Lucknow, Aizwal. Allahabad, Varanasi, Jaipur, Bhubaneswar, Asansol, Siliguri, Gangtok, Guwahati and Shillong.It was launched in 2002, playing a mix of Hindi and English songs. However, the programming is now 100% exclusively Hindi. 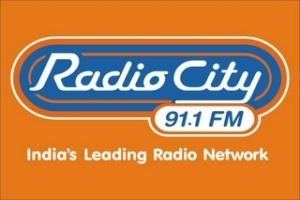 Radio City is a FM radio station in India. It has the tagline “Whatte Fun!”. It broadcasts from Mumbai (from where it started in 2004), Bangalore, Lucknow, New Delhi, Hyderabad, Chennai and Vishakhapatnam. It plays Hindi songs, English and regional songs. RadioCity has launched Fun Ka Antenna – Online Radio Station, which plays hits across genres including International, Bollywood, Indipop and Sufi among others. The Chief Executive Officer of Radio City is Ms Apurva Purohit. 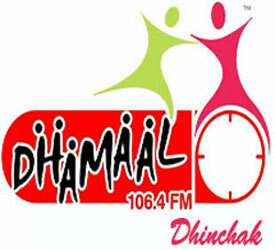 Dhamaal 24 106.4 FM is a one of a kind radio station on air in ten stations across the country, launched under the aegis of Broadcast 24 of the B.A.G. Network. It has a tagline “Dhinchak”. On this radio station, you can find popular music, bhajans, ghazals and songs with a local flavor. This makes Dhamaal 24 the one stop shop for all music lovers and avid radio listeners. The station brings to you radio programming of a unique style, incomparable to any other station. 94.3 Radio one is a joint venture between Next Mediaworks Ltd and BBC worldwide. We operate in 7 Indian metro cities namely Mumbai, Delhi, Kolkata, Chennai, Bangalore, Pune and Ahmedabad. 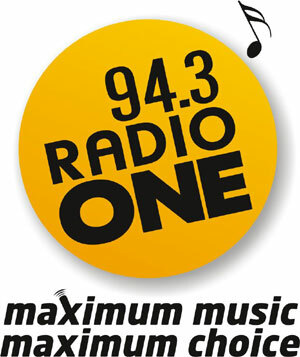 Radio One’s promise of “maximum music, maximum choice” is changing the way people listen to music on Indian radio. Breaking new ground by playing 13 songs every single hour, it plays at least 1200 more songs more every month. Radio One Jocks are called Music jocks and not Radio jocks because they are passionate music specialists who love music entwined with the sound of their voices. 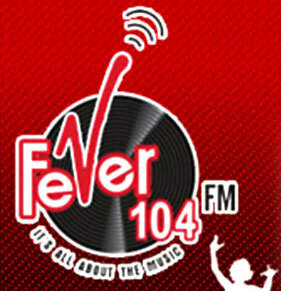 Fever 104 FM – An Online Hindi FM Radio Station is an initiative of HT Media Ltd. in partnership with Virgin Radio. Fever 104 FM Radio uses Hindustan Time’s media strengths in India and Virgin’s Radio global expertise to bring a world-class fm radio station to the listeners across the country. It is available in Delhi (since October 2006), Mumbai (since January 2007), Bangalore (since March 2007) and Kolkata, India (January 2008). Fever FM has podcasts, bollywood song reviews, contests and more. It gives you the best entertainment and most fun. HIT 95 FM is the radio station that knows how to have fun! Featuring a perfect mix of music and talk, with highly popular shows hosted by some of the most well-liked and vibrant RJ’s in town. 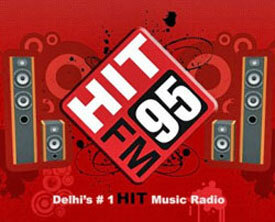 It is Delhi’s No.1 Hit Music Radio. One of the signatures of the station is the high level of listener involvement and interaction. Every show on the station features a large number of callers, whether it’s for the various fun contests and segments – or even to answer the questions put out on air. In short, Hit 95 FM is the radio station for the people, of the people – and most importantly- by the people of the city. Radio Indigo 91.9 FM is the only International Music radio station of India. It’s headquarters is based in Bangalore and was launched in 2006. It is broadcasted mainly in Bangalore, but is also available in Goa. Radio Indigo 91.9 fm are not just papas that preach. It’s a time tested and proven formula. Radio Indigo isn’t only Bangalore’s and Goa’s premiere international radio station, it’s also the only one. It’s with this great power that it brings all the biggest stars directly to your tuners at your convenience, at preference of the listeners. Other prominent radio stations of India are Air FM, Vividh Bharati, S FM, Rangila FM, Radio Dhoom, Meow FM, Oye FM.